Come in and try a pizza treat that your body (and tastebuds!) will love you for. Our new Vegan pizzas are packed with fresh veggies, and garnished with herbs for an explosion of natural flavour. Great for vegans, vegetarians, or adventurous carnivores looking for a change. Taste tested by local vegan foodies and lifestyle bloggers, Marcelle (@Shelbieslifestyle), Hazel (@hazeldominique), Will (@thewilltsang), and Tess (@plantbasedtess_). 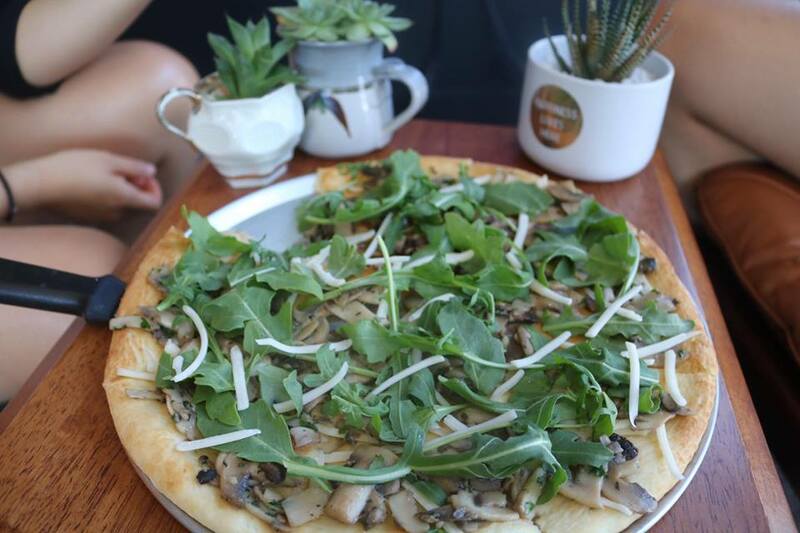 Sautéed mushroom, garlic, and rocket, lightly sprinkled with vegan cheese. This pizza is loaded with roasted vegies - a combo of roast pumpkin, artichoke, aubergine, cherry tomatoes, red onion, and capsicum, topped with fresh basil. Dubbed “the perfect pizza” by Tess, this pizza is layered with smashed garlic potatoes, spring onion, thyme, and garnished with fresh parsley. Our classic vegetarian pizza - but now with the option of vegan cheese! 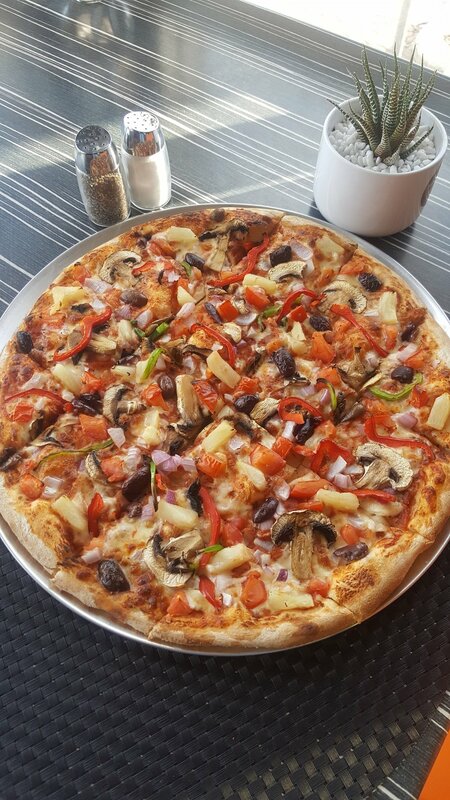 Fresh tomato and capsicum alongside red onion, mushroom, pineapple and olives. Basil was abundant on the day of their visit, so our chef, James Valente, whipped up a Vegan Pesto using savoury yeast and cashews to make a lunchtime special. The Pizza was a mix of tomatoes, mushrooms, and olives, atop a pesto base - becoming an instant favourite for Marcelle and Hazel. If you’re not in the mood for a pizza, don’t fret! We have the perfect vegan salad just for you – our roasted vegetable and lentil salad is a plentiful mix of seasonal vegetables, spinach, French lentils, and cherry tomatoes, all covered in a tangy dressing. So what are you waiting for? Order Now! Then share the love on our new Happy Cow page! A special thanks to Marcelle, Tess, Hazel, and Will for these great photos and helpful feedback!